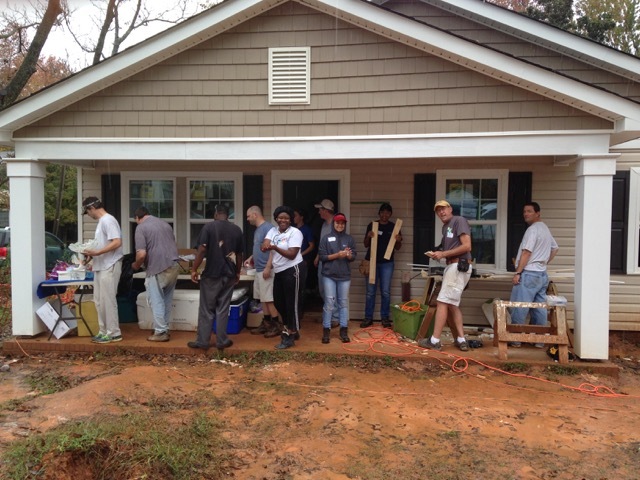 We are part of a group, Charlotte Church Partners, that is building two houses this fall. You must be 16 or older to volunteer. You can volunteer for a full day 8am – 4pm; or half days – AM – 8 to 12 noon; or PM – 12 noon to 4pm. On Nov. 10 our church is in charge of the site. We want to especially make sure we have a lot of volunteers from the church that day. We will be providing the lunch which will be BBQ sandwiches. We don’t want to brag, but we have been told that it is the best lunch provided at the building site just in case you need some incentive to sign up.